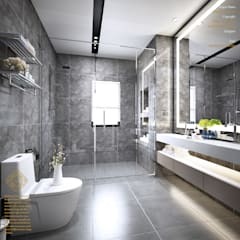 Like with any other part of the home, homeowners and designers alike are always attempting to create the perfect bathroom. 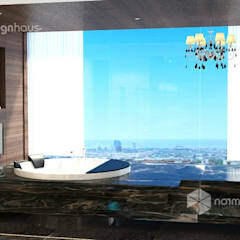 Of course, this will always vary depending on the size of your home, your family, your budget, your style and your tastes. 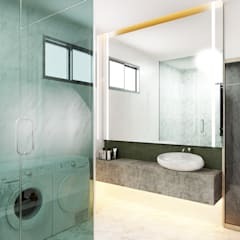 Happily combining all these aspects is what we’re after here at homify, and the bathroom should be a happy and functional combination of everything, from having fresh and light color palette to being equipped with appliances and materials that can handle heat, dirt, and moisture. 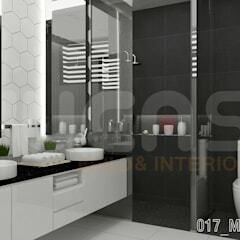 You should pay attention to your budget, your color palette, and the materials you have decided to use. And, if the perfect materials are hard to come by or afford, we can help you find the right alternatives or the right DIY projects. 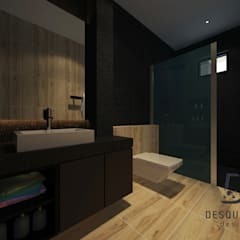 How do I design my bathroom? Starting a design project or renovation is always nerve-wracking. Sticking to the items you’ve found and retaining style guidelines are always the best approaches. We typically tell those searching for a new design to stick within a budget for starters and then work on selecting the proper color scheme. Once the right colors are chosen, you should have an easier time finding everything from flooring, to countertops and wall color to towels, accessories and lighting. 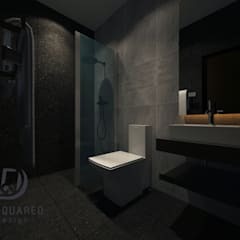 When designing a new kitchen, you should always make a list of the key appliances you will need for your bathroom – this should include the sink, shower, bathtub, flooring, and countertops. What color-scheme should I use in the bathroom? Color is vital when designing every room in your home. The bathroom is no exception. The right color scheme can create the right atmosphere and make the room a welcoming, inspirational, and enjoyable place to spend time in. If you tend to use this place for moments of relaxation, then consider deeper and more sensual colors that are perfect for rest and meditation. If you tend to use this room to get ready and started for the busy days ahead of you, choose something bright, light and airy to get you up and going in the morning. Rich colors like violets, greys, and even pastels can set you off in the right mood. 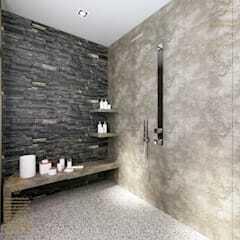 Make sure that the smaller your bathroom is because lighter shades create the perfect illusion of more space! 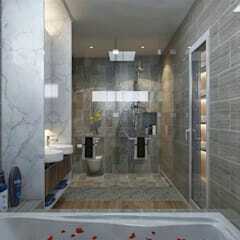 What about the walls and floors of my bathroom? 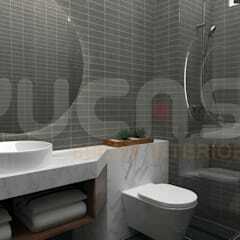 Walls and floors need to be both beautiful and functional. 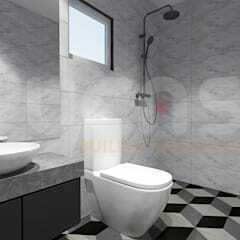 Bathroom floors and walls need to be able to properly handle moisture, heat, and messes. 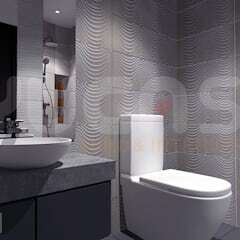 Tiles are a great option for both the walls and floors and can give you an incredibly high-end look. For a more rustic or modern feel, sealed wood can give you a great effect as well. Some consider a more eco-friendly option and that would be bamboo as it can handle spills, heat, and moisture quite well! 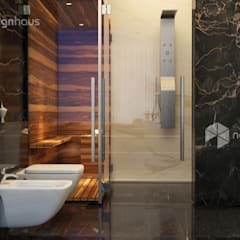 You’ll be able to find wallpapers that are water-resistant and water-repellant, so make sure your designers and contractors are explaining all of your options to you. 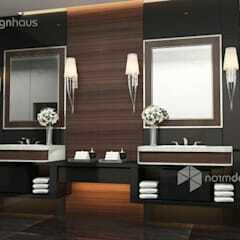 What about accessories for my bathroom? 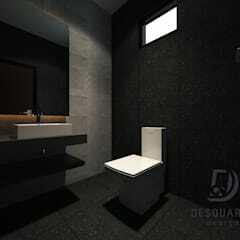 When designing bathrooms function seems to always come before form. But what a lot of people don’t know is that choosing the right accessories can easily make or break the consistency of your space, so it is important to get it right the first time. A rustic design might include wood-framed mirrors and rustic wood floors, a modern style might have uber-modern lighting fixtures and geometric accessories and an industrial style wall include exposed pipes and plumbing as mere decoration for an instantly-chic look. The unity and cohesiveness of each room in your home is what you should be looking for and this is why sticking within a style and/or color scheme should be a priority. 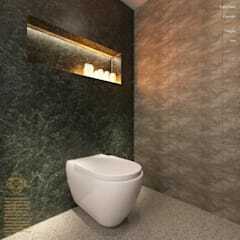 What do I consider when selecting bathroom lighting? 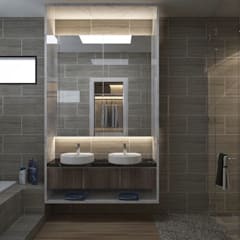 Your bathroom lighting should be accessible, functional, and bright. 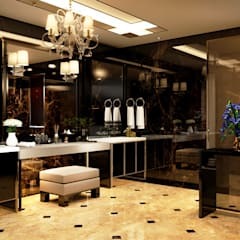 Yet with bathrooms being generally smaller than kitchens, figuring out great lighting can be a little tricky. 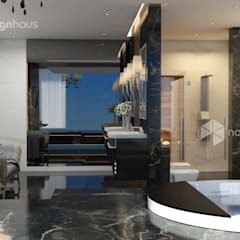 We suggest that you use both natural and artificial light for this space and that your artificial light should be attached to the ceiling, or to the wall so that it’s out of the way and not interfering with the rest of the design. 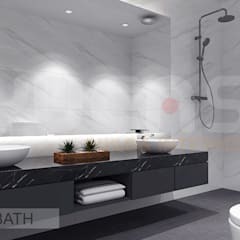 Also, if you have a decent-sized bathtub, we suggest you place this next or below any strong sources of natural lighting to bring the feeling of the outdoors inside. This also means you can relax and read or sift through magazines while relaxing in your bathtub as well. 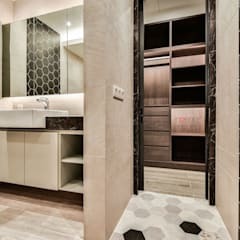 Working with smaller spaces is always slightly harder than larger ones, but this should not prevent homeowners or designers from experimenting with high-quality design. With smaller rooms, homeowners will need to think more about the strategic use of lighting and color schemes that will make it as inviting as possible, while giving the illusion of more space. 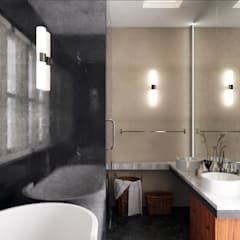 Mirrors are also a great way to give the illusion of depth or space and their tendency to reflect both natural and artificial light is just what you need in a smaller space that might not have room for lighting ideas. 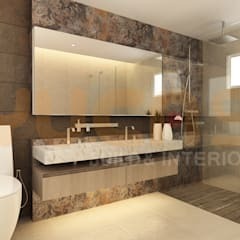 What to consider when renovating my bathroom? 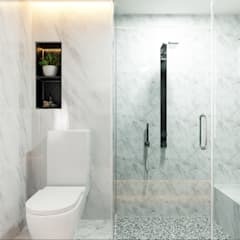 Here at homify we’re realistic – we realize that the renovation of a bathroom always comes back to budget, which is why you should consider in advance how much you actually need to change. Are there only a few small changes that need to be made, or do all the tiles need to be replaced? 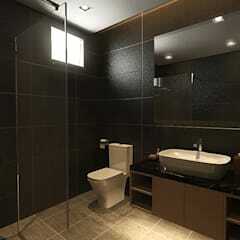 Replacing larger items and appliances such as the shower, the sink or the toilet, can be expensive and complex. 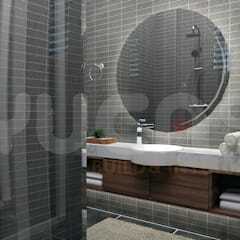 Those who want to hold-off or defer a full renovation should focus on the smaller details to freshen up the space. 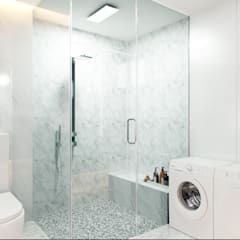 Even with a few small changes, the overall picture can change dramatically — change the shower curtain for a shower enclosure, or find a new and interesting cabinet for the sink. Maybe take some time and some extra change to fix the lighting fixtures — lighting can always make a huge difference in almost any room!